Revenue Secretary Dr. Hasmukh Adhia holds detailed review of IT-Preparedness for the roll-out of Goods and Services Tax (GST) from July 01, 2017. 60.5 lakh taxpayers out of 84 lakh enrolled as of now; Registration to be reopened for 15 days from 01st June, 2017. 3200 taxpayers from Centre, States and UTs to get hands-on experience of GST System software in a pilot from 02nd to 16th May, 2017. Dr. Hasmukh Adhia, Revenue Secretary, Government of India, expressed his satisfaction with the preparation for the roll-out of Goods and Services Tax (GST) from 1st July, 2017. He was holding a detailed review of IT Preparedness for GST System at the Goods and Services Tax Network (GSTN) office in national capitalyesterday. The meeting was attended by Smt. Vanaja N. Sarna, Chairperson Central Board of Excise and Customs (CBEC), Shri Navin Kumar, Chairman GSTN, Shri B. N. Sharma, Additional Secretary Revenue, Shri S. Ramesh, Member CBEC, Shri Prakash Kumar, CEO GSTN, Shri Binod H. R., Executive Vice President, Infosys and Shri C. N. Raghupathi, Infosys India Business Unit Head. Dr. Adhia reviewed GST System preparedness of GSTN and CBEC. He was briefed about the software system being developed for GST, training of tax officials and outreach program being undertaken by Tax Departments across the nation. Out of 62,937 tax officials, 24,668 tax officials have been given hands-on training on the application software on live system while the remaining officials will be trained by 15th June, 2017. The training is being conducted on Registration, Returns and Payment Modules developed by GSTN. GSTN is also conducting a pilot on GST System Software from 2nd May to 16th May, 2017, where 3200 taxpayers drawn from each State/UT and Centre will be participating. The pilot covers all the three modules and is being run to give the taxpayers first hand opportunity to work on the live system as the creation of return has become an interactive process. vi. Viewing System generated GSTR-3, payment of taxes using net banking and submission of GSTR-3. The Revenue Secretary Dr Adhia also reviewed the progress on enrollment of existing taxpayers. As on 30th April 2017, when Phase-1 of enrollment was closed, 60.5 lakh taxpayers out of 84 lakh had enrolled. The enrollment window will be re-opened for 15 days from 1st June,2017 to give another opportunity to taxpayers to enroll. The Committee constituted by the Finance Minister to suggest the areas in respect of which further Income Computation and Disclosure Standards (ICDS) may be notified under the Income Tax Act, 1961 (‘the Act’) has suggested the notification of ICDS in respect of Real Estate Transactions and submitted the draft of the same. The draft ICDS submitted by the committee is based on the Guidance Note issued on Real Estate Transactions issued by Institute of Chartered Accountants of India (ICAI). For the purposes of providing uniformity and certainty and harmonising the same with provisions of the Act, the committee suggested certain changes in draft ICDS. 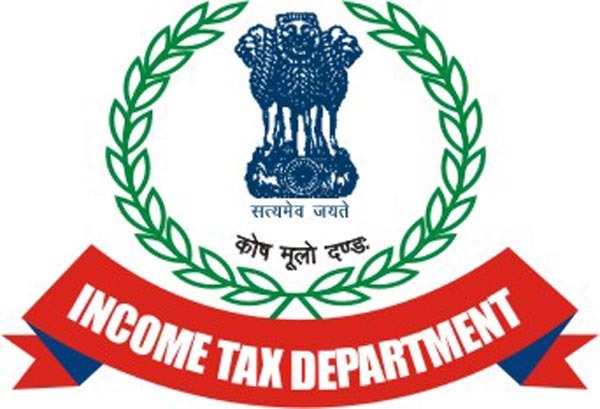 The draft ICDS on Real Estate Transactions along with the significant changes suggested in ICDS vis-à-vis the Guidance Note issued by ICAI are uploaded on the Income-tax website at http://www.incometaxindia.gov.in. The Central Board of Direct Taxes (CBDT) invites comments from stakeholders on the draft ICDS on Real Estate Transactions, which may be submitted to Director TPL-III by e-mail at dirtpl3@nic.in by 26th May, 2017. Section 145(2) of the Income-tax Act, 1961 (‘the Act’) provides that the Central Government may notify Income Computation and Disclosure Standards (ICDS) for any class of assessees or for any class of income. Accordingly, Central Government notified 10 ICDS vide Notification No. S.O. 3079 (E) dated 29th September, 2016. These ICDS inter-alia contain provisions relating to valuation of inventory; construction contracts; effects in changes of foreign exchange rates, borrowing costs etc. These ICDS are applicable from assessment year 2017-18 (previous year 2016-17) in respect of specified assessees for computation of income under the head “Profits and gains of business or profession” or “Income from other sources”. The Finance Minister had constituted a Committee comprising of experts from accounting field, departmental officers and representatives from the Institute of Chartered Accountants of India (ICAI) to suggest the areas in respect of which further ICDS may be notified under the Act.